Hearing the word “coconut” before anything else might be just the thing to lure in someone who’s wary of shellfish. 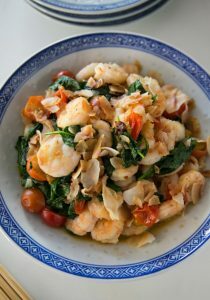 For this dish, Lee cooks shrimp (along with cherry tomatoes, sweet onions and baby spinach) in coconut oil to add a subtle flavor to the dish, then garnishes everything with toasted coconut for an extra taste bum— and terrific crunch, too. Place the coconut flakes in a large sauté pan over medium-low heat and toast, shaking the pan occasionally, for 8 to 10 minutes, until browned and toasty. Spread out on a plate; the coconut will crisp up as it cools.Meanwhile, season the shrimp well with salt and pepper. Dice the onion fairly small and halve the tomatoes.Place the large sauté pan you used for the coconut (skip washing a pan!) over medium heat. Add the coconut oil; when it melts, add the onion. Sauté for 2 to 3 minutes, stirring often, until translucent.Increase heat to medium-high, add the shrimp to the pan and stir-fry for 1 to 2 minutes, until they start to turn pink. 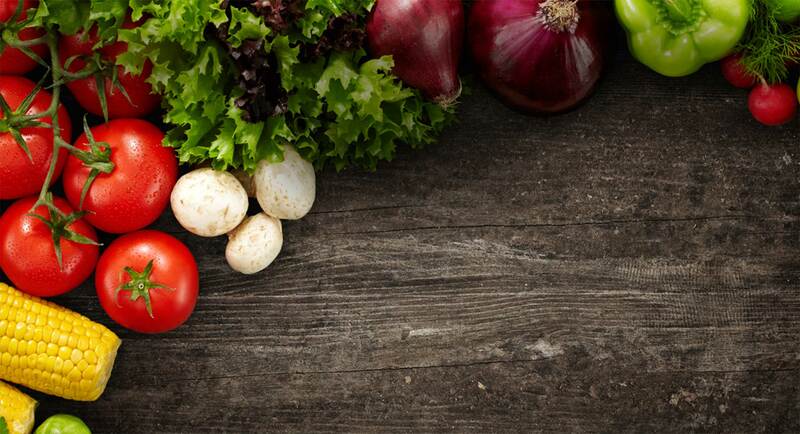 Add the cherry tomatoes and spinach, large handfuls at a time, and cook for 3 minutes, stirring constantly, until you have added all of the spinach, the shrimp are fully cooked and the tomatoes are tender.Season, to taste, with salt and pepper. Serve right away, topped with the coconut flakes, and place the lime wedges on the side. © Copyright 2017 All rights reserved. Powered by WebVixxen.